Here’s a recipe for a lovely evening: Friday night, good friends, wine and cheese, classic jazz. Our last Friday night get together, however, was bitter sweet. Our dear friend Oli was leaving for Sweden the next day and won’t be back until the beginning of next year. I wanted to give chef Oli a break from the kitchen. So I made several platters to serve for our last soiree: marinated Manchego cheese with roasted red peppers and Marcona almonds with warm sour dough bread to sop up the olive oil based marinade. The filo wrapped feta cheese turnovers and marinated black olives with citrus zests were a big hit. I baked brie on a cedar plank and made grilled eggplant that took a brief dip in balsamic then got topped with a parsley-caper pesto, fresh baby tomatoes and toasted pine nuts. Friends never arrive empty handed so a fresh fruit platter, red wines and a traditional mac and cheese joined the lineup. I assure you, every last morsel disappeared. What’s this all have to do with ice cream? Did you ever meet a chef who could sit idle when a whole lot of food was going on? Oli just had to contribute to the festivities and, oh mama, we still dream about his Candy Store Ice Cream! 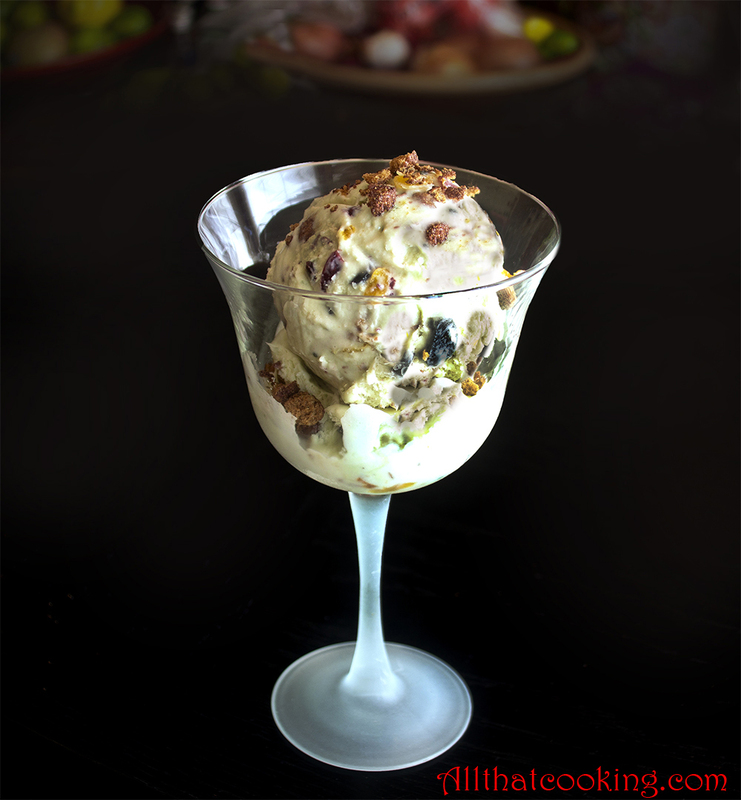 For Oli, making any ice cream is easy, but he was in the mood to do something out of the ordinary and experiment. He wanted to leave his friends with some flavors of Iceland, so he decided to introduce us to Opal. Opal is a licorice, menthol, eucalyptus Icelandic candy which is produced as a liquor as well. Alas, both are unobtainable in Virginia Beach. Time to improvise. A trip to the grocery store netted a bag of licorice bites and a box of Coco Puff cereal. Why Coco Puffs? Because the ice cream just needed them! A trip to the ABC store found it devoid of any kind of licorice flavor liquor, so a nip size bottle of vodka made it to the list of ingredients. This was the best ice cream I have ever eaten! With the first bite everyone was praying out loud that there would be seconds. It’s rich, creamy, doesn’t scream licorice (good thing, because I’m not really a fan of black licorice). There are great chocolate bits from the Toblerone as well as a brilliant Coco Puff flavor and crunch. The dried fruits (healthy) add just the right amount of chewiness and there is really no kick from the vodka. I’m going to stop here, because just thinking about the ice cream makes it difficult for me to concentrate on writing. When you serve the ice cream, don’t forget to sprikle it with some crushed Coco Puffs! Before beginning, put a medium size bowl into the refrigerator to chill. 1. 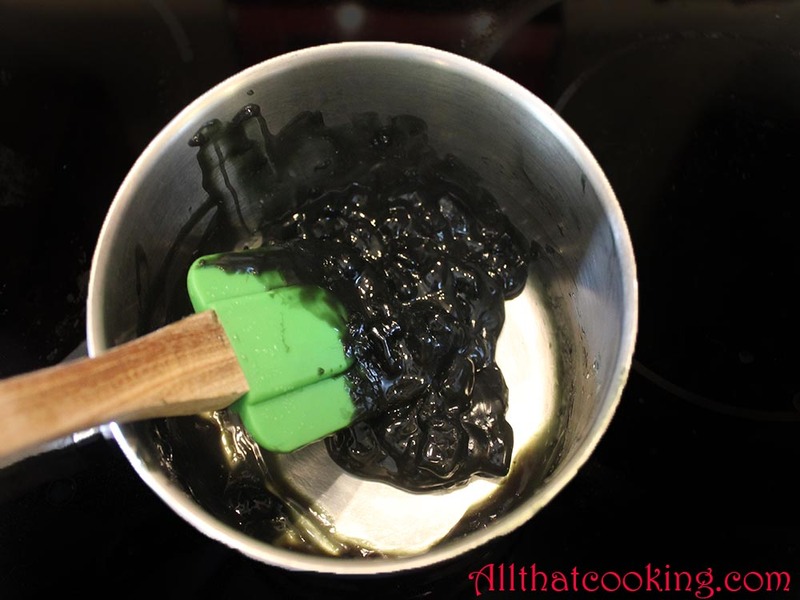 In a small sauce pan combine licorice, sugar and water. Bring to a boil then cover and simmer until licorice is melted and water is mostly evaporated. 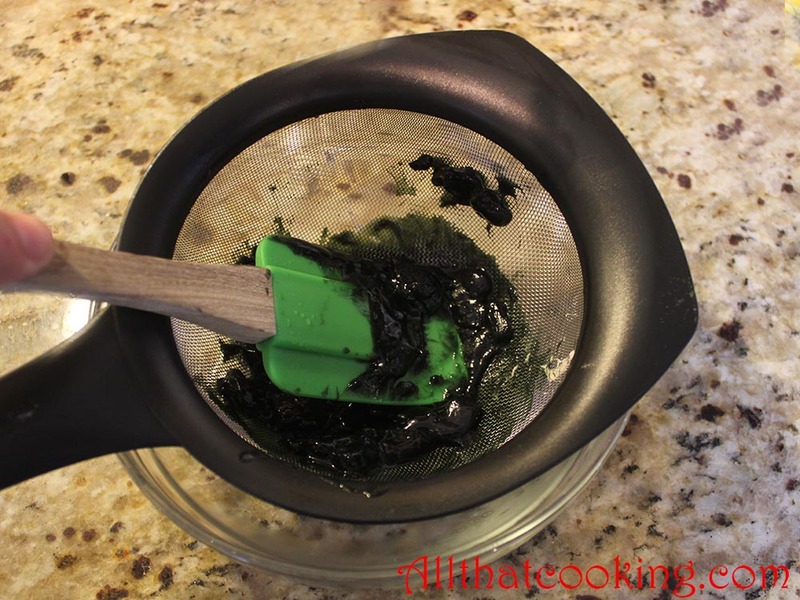 Stir often so that licorice does not burn. You will have a thick paste. 2. Press it through a sieve set over a small bowl then pour in vodka and mix. Refrigerate until ready to use. 3. 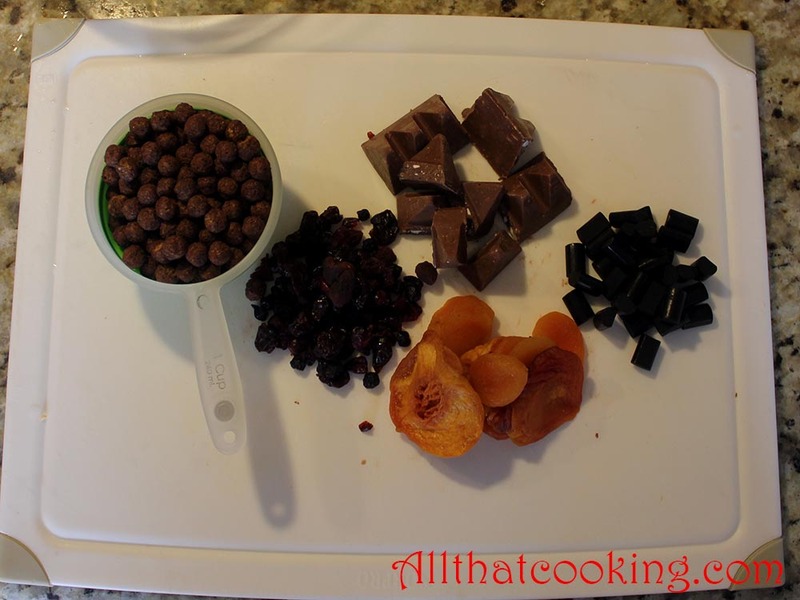 In a large bowl mix together Coco Puffs, licorice, Toblerone, berry blend, apricots and peaches. Refrigerate until ready to use. 4. 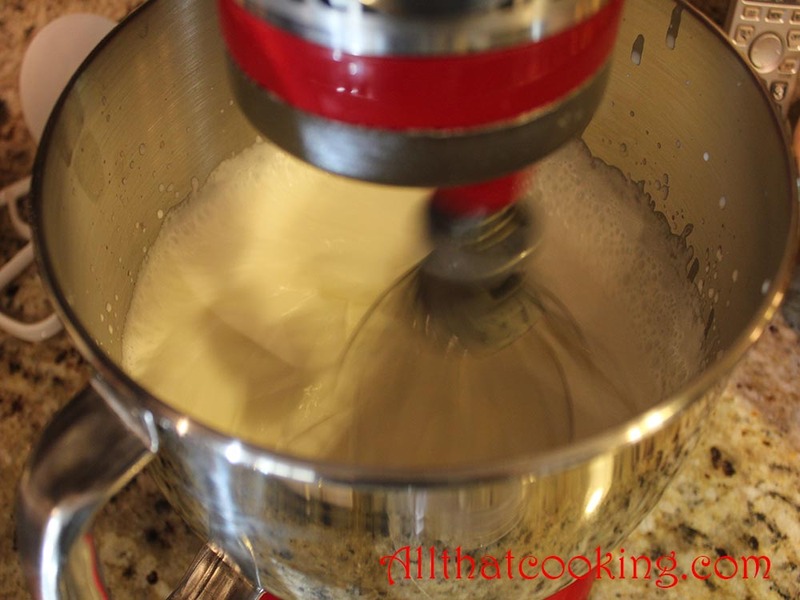 Pour cream into bowl of a stand mixer fitted with whisk. Whip until soft peaks form. Do not over whip. Transfer to chilled bowl and refrigerate until ready to use. Wash and thoroughly dry the mixer bowl. 5. 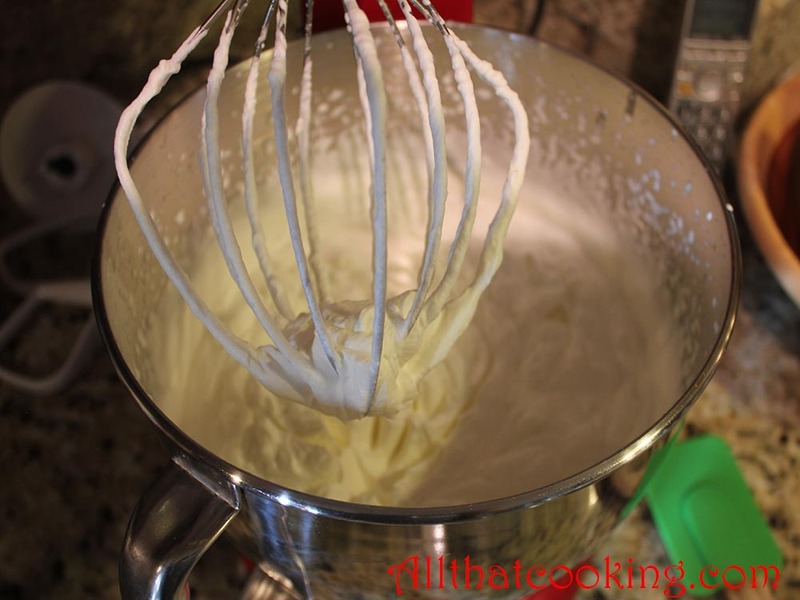 Reattach the mixer bowl to the stand and using the whisk attachment, whisk egg yolks, whole eggs and sugar until thick and golden. 6. 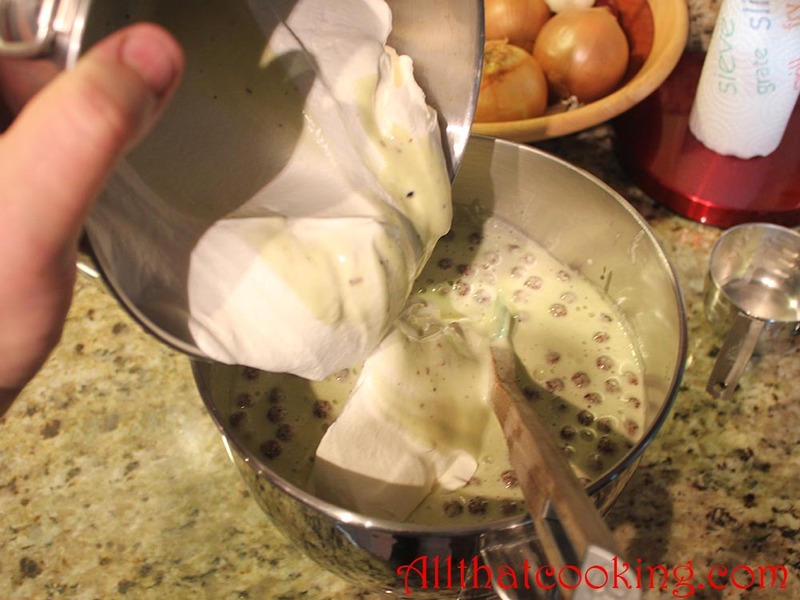 Add licorice mixture and continue to whisk until well blended. 7. Remove bowl from stand and use a spatula to blend in the candy store bits. 8. Gently fold in whipped cream. Blend well. 9. Scoop into container you will use for freezing. We used 3 – 8 1/2 x 4 1/2 x 2 1/2 inch loaf pans. Cover with foil and freeze for about 8 hours. Gallery | This entry was posted in Desserts, Ice Cream and tagged Candy store ice cream, Coco puffs, Ice Cream, licorice, no ice cream maker needed, Toblerone. Bookmark the permalink. I was there that night. Good food and good friends–a great combination. I try to never miss an invite when Gina and Oli are in the kitchen. This ice cream was the best I’ve had, I wasn’t so sure about it when I heard the ingredients; but, boy, was I pleasantly surprised by the flavor. A licorice ice cream…wow…I would love to try it! Are the licorice bites coated with sugar, salt or just plain? The licorice bites are plain. We bought the ones that are super dark and look like a cross cut of okra. We passed on Twizzlers because we didn’t think the licorice flavor would come through. If you do decide to make this let us know that you think. Homemade Icecream is alway the best. Oli will be back before you know it. That top picture took my breath away ! And my eye balls literally popped out !